Typhoon SARIKA looks like just following the track of Typhoon SONGDA. This indicates that the atmospheric condition of this place has not changed significantly from a few days ago when Typhoon SONGDA passed almost the same place. This however does not mean everything is the same at this place. The difference is sea surface temperature. 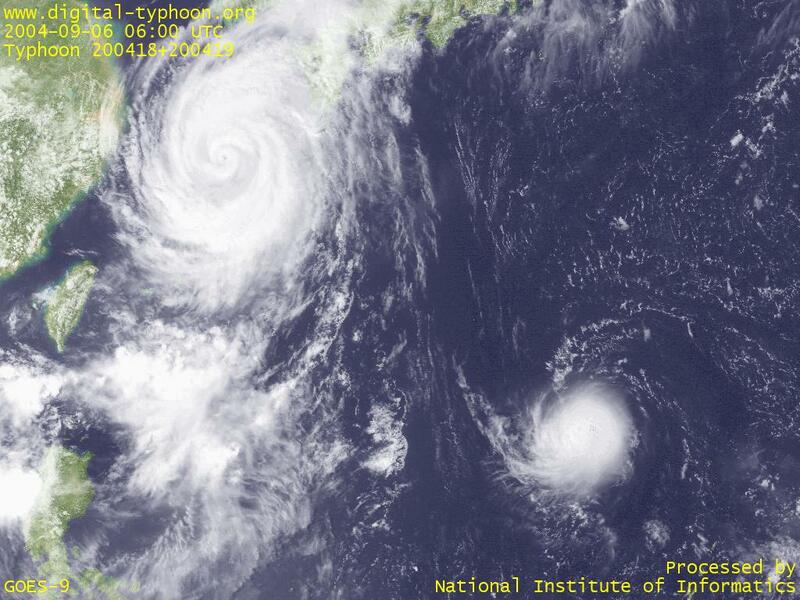 When a strong typhoon like Typhoon SONGDA passes, the strong wind of the typhoon mixes up the surface water of the ocean resulting in the decrease of sea surface temperature, and this leads to the less flux of energy provided from the ocean, which is essential for the intensification of a typhoon. 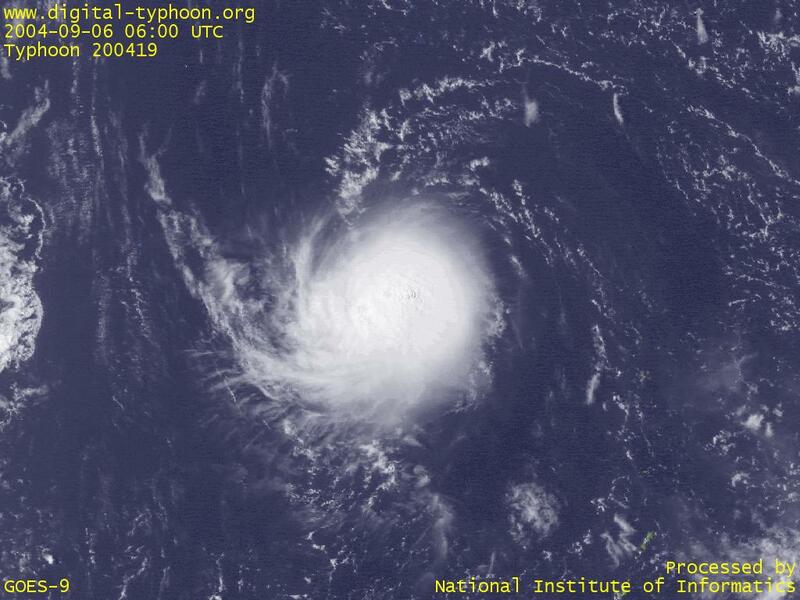 Partially because of this reason, Typhoon SARIKA looks like a miniature typhoon with every part being reduced its size. This feature might be well matched to the cute sound of its name, SARIKA. Typhoon SARIKA was born around Saipan Island. This place of genesis was just passed by Typhoon SONGDA a few days ago.